Alexander Galich, born Alexander Arkadievich Ginzburg in 1918 ("Galich" is a literary pseudoym he assumed in 1947), is best known as the cult author of poem-songs surreptitiosly disseminated throughout the Soviet Union in the millions as part of the magnitizdat phenomenon. Dress Rehearsal was written by Alexander Galich in 1973, only a year before his forced emigration from the Soviet Union and four years before his tragic death. 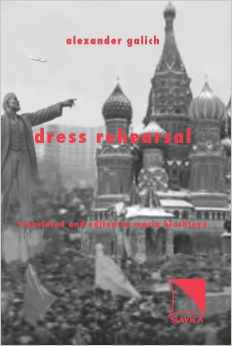 Galich wrote Dress Rehearsal to reflect not only on his own life but on the psyche of his Soviet contemporaries. Although the Soviet Union had since collapsed, and its society has been almost totally transformed by the radical changes that followed, Dress Rehearsal remains more relevant than ever for anyone who wants to acquire an insight into post-Soviet mentality and into the acute identity crisis facing post-Soviet society today.